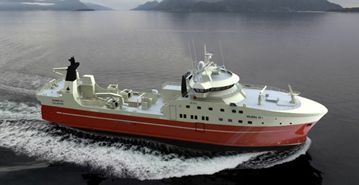 BMA Technology in an experienced supplier of electrical and automation systems for fishing vessels. With the experience gained over the years BMA has the know-how for different requirements for different kind of fishing vessels like longliners, trawlers, purse seiners, factory vessels, crab catchers etc. Our project and design team delivered numerous projects and has extensive know-how about the design and installation of electrical systems for fishing vessels.